Looking for a gearbox solution for your mixer? – STOBER Drives Inc. Looking for a gearbox solution for your mixer? Any mechanical device used over food production must be of the highest quality. Products that leak oil are not an option! 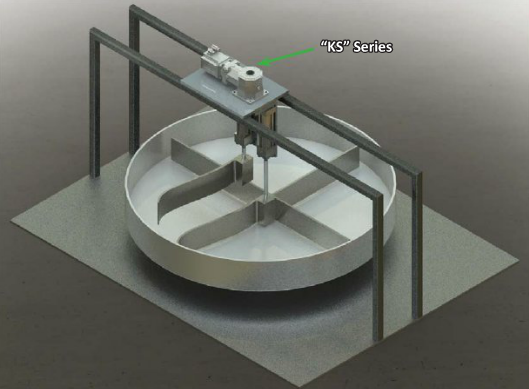 STOBER’s KS is ideal for dynamic mixing processes. The agitators can be mounted to the rotating flange supported by stout tapered bearings. The hollow bore also allows for air lines to pass through, which are used in the agitation process. The demanding nature of the dynamic mixing is no problem for the KS.